We asked you to share recipes on our Facebook wall that could use a little upgrade, and you more than delivered. We must admit, you and your fellow fans are great at cooking up delicious recipes. fIt was tough to only choose three, but we did it. We took those winning recipes and gave them a little TLC. Go on, see what sort of tasty fare your fellow fans helped create. One ingredient in this recipe really grabbed our attention – cola. Yes, you read that right. Cola. Sharon suggested browning ground beef in cola. We were a bit skeptical at first, but it tenderized the ground beef nicely and gave it just a touch of sweetness. We were sold. We swapped out the regular hamburger buns in Sharon’s original recipe for semi-homemade cheddar cheese and onion buns (broiled so the cheese melts). Then we added caramelized onions and our crispy prosciutto to help balance out the sweet and savory flavors. And to top it all off, we sprinkled it with peppery arugula and more shredded cheddar. 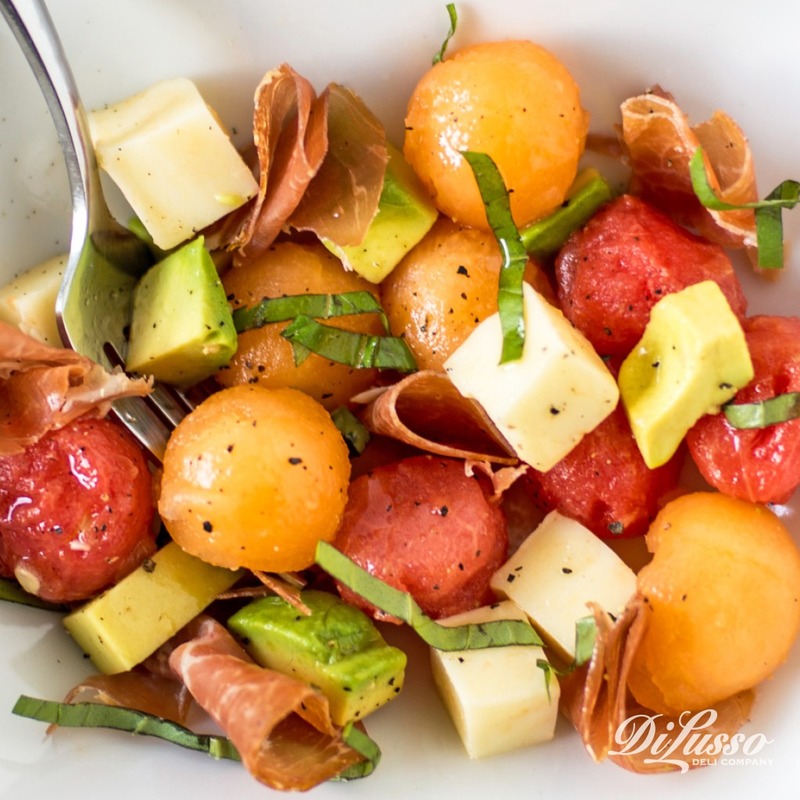 We loved how Tammy used fresh, seasonal produce in her original recipe, so we made sure to keep avocado, watermelon and cantaloupe in the mix. We added thin strips of our Italian-spiced prosciutto to help offset some of the sweetness. Then we tossed in small cubes of our mozzarella for its creamy texture and delicate flavor. 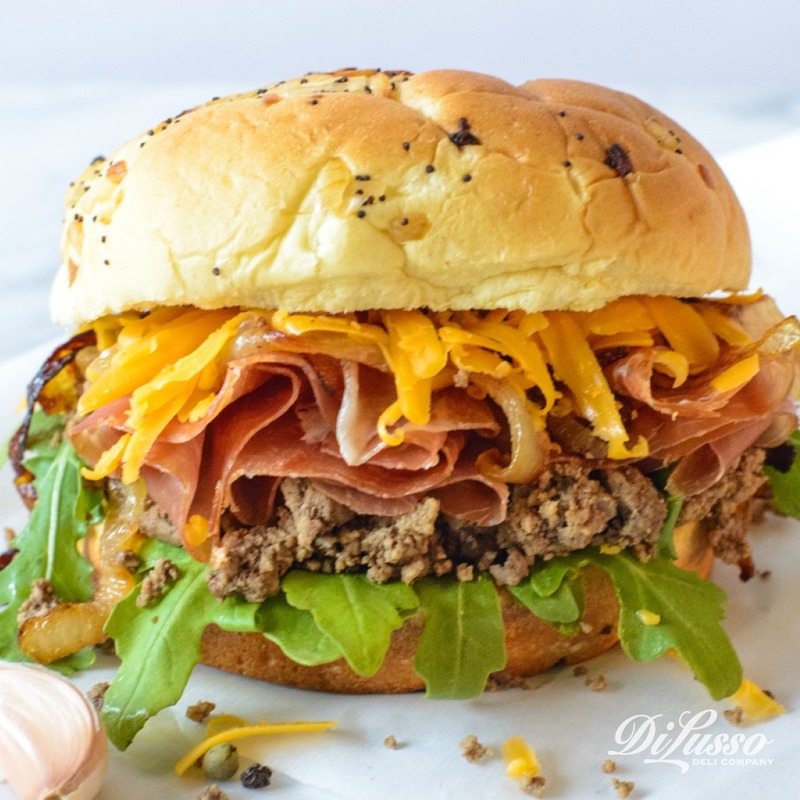 To pull all of the flavors together, we drizzled it with a white balsamic vinaigrette (a slightly sweeter version than Tammy’s) and sprinkled it with freshly chopped basil. There’s a melody of flavors in every bite. Paninis are full of potential, which is why we were big fans of Jenny’s recipe. Changing even one ingredient can make a big impact. We traded the sourdough in Jenny’s original recipe for rosemary focaccia to draw out the complementary flavors in our sun-dried tomato turkey breast. We also switched from mozzarella to our havarti herb to incorporate more of those traditional Italian seasonings like parsley and oregano. 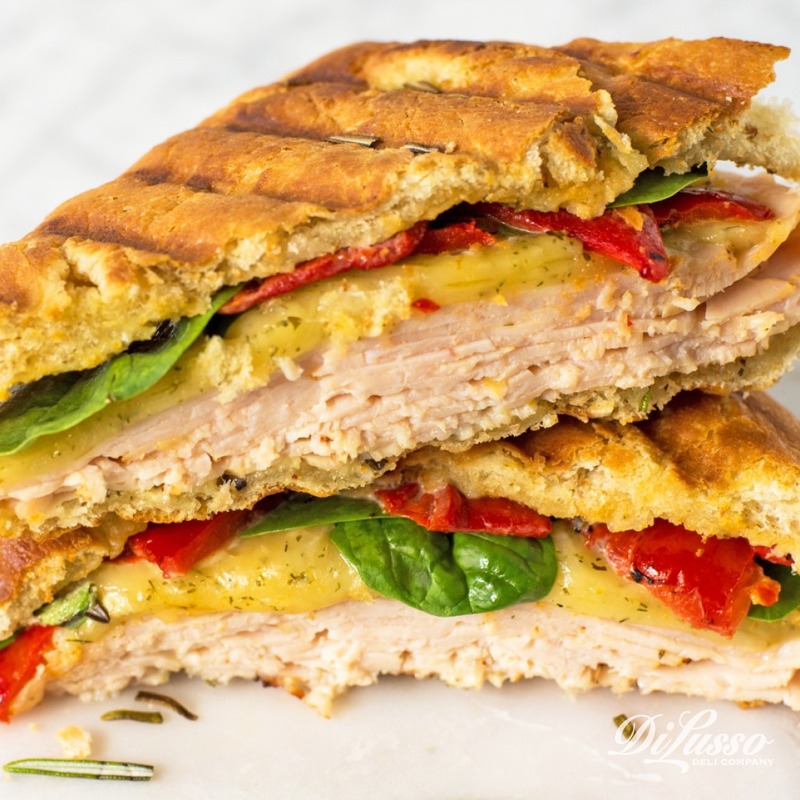 Instead of using a pesto spread, we layered the panini with sweet basil, garlic and a touch of olive oil to enhance the flavors of those traditional pesto ingredients. Then we added a few garlicky roasted red peppers, tucked it all into a panini press and watched this Italian-inspired masterpiece come to life.